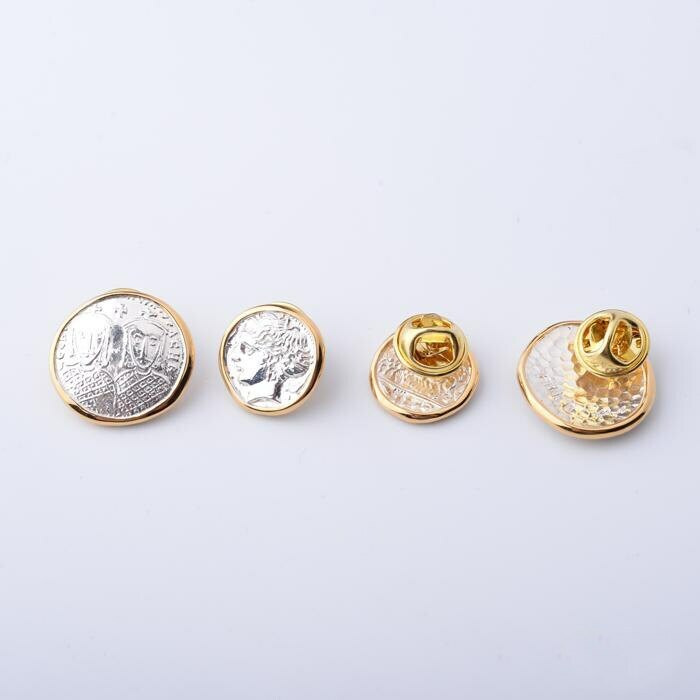 A solid, chunky coin lapel pin is made with a replica of an Ancient Greek coin. The Greek coin collar pin is based on the design of an actual ten Drachma coin - in circulation around 2400 years back in Greece. Legend has it that the famous sculptor Kimon had designed the coin. 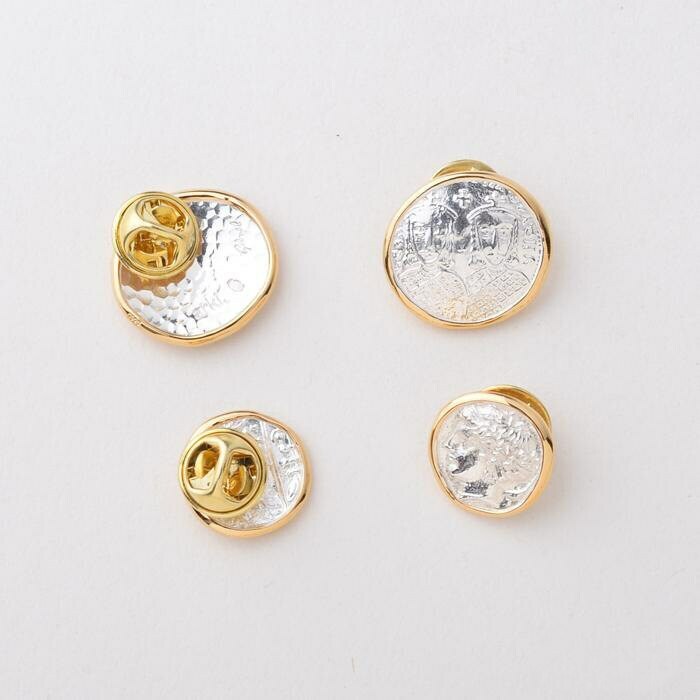 This ancient coin collar pin will appeal to fans of vintage-themed jewelry, but really, anyone who likes simple, elegant jewelry, will like this piece. 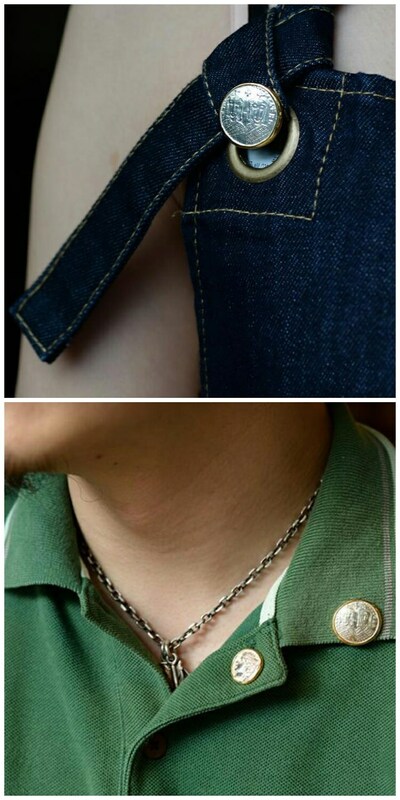 A mix of silver and 24K gold on the edges make this coin collar pin exclusive. 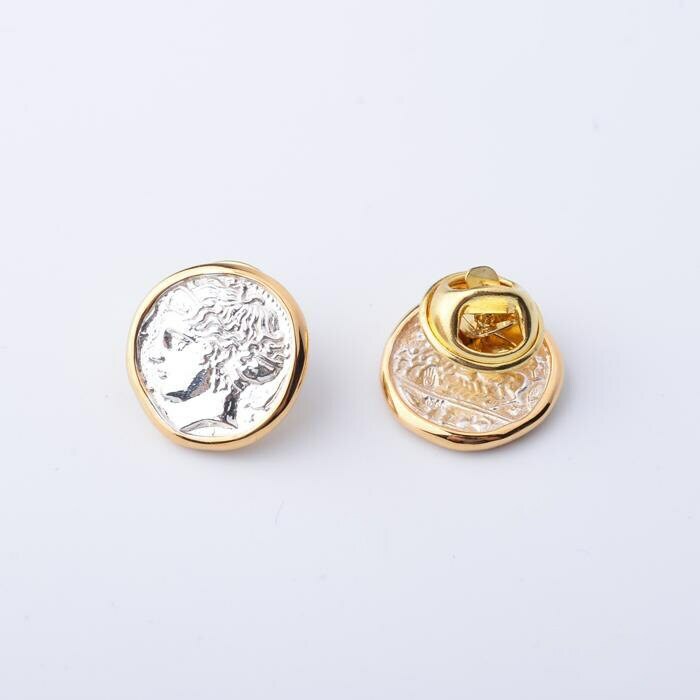 The gold is added as a plating or a wrapping - depending on what design option you choose. 24K Solid Gold or 24K Plated Gold wrapping. 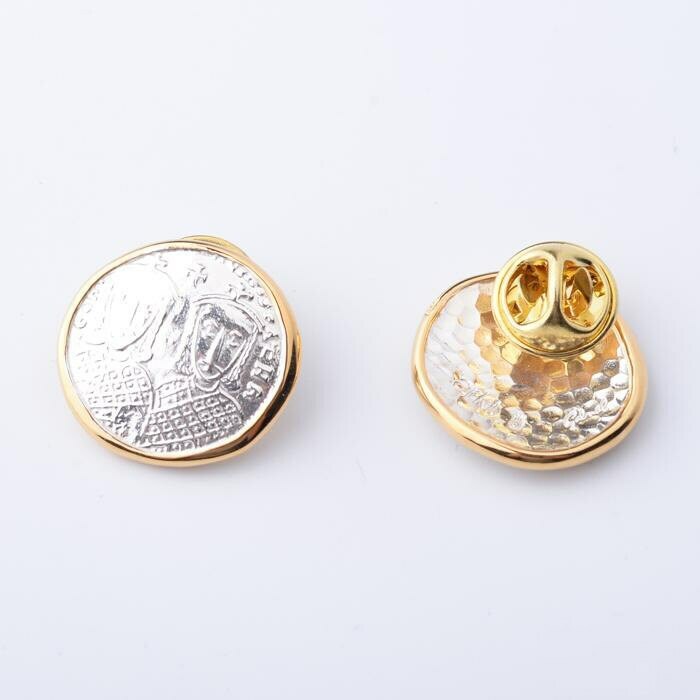 The coin lapel pin is available in two sizes - small and large. Sold in singles.